A natural touch of the tooth and the mouth automatically causes an attractive smile, leading to a more likeable and self-confident appearance and inevitably to more personal and professional success. Through the introduction of implantology into dentistry, it is now possible to provide almost all patients with anchored and aesthetically appealing dental replacements, no matter if it requires the replacement of a single tooth or a whole row of teeth. Implants are the fundamental pillars for beautiful new teeth, as it replicates a dental root that is equal in stability as a natural dental root. Implants are usually crafted from Titanium in the shape of a screw. Crowns, bridges and mobile dental replacements can be anchored to these implants and on top of this, implants, through their anchoring in the jaw, assist in the preservation of bone matter. 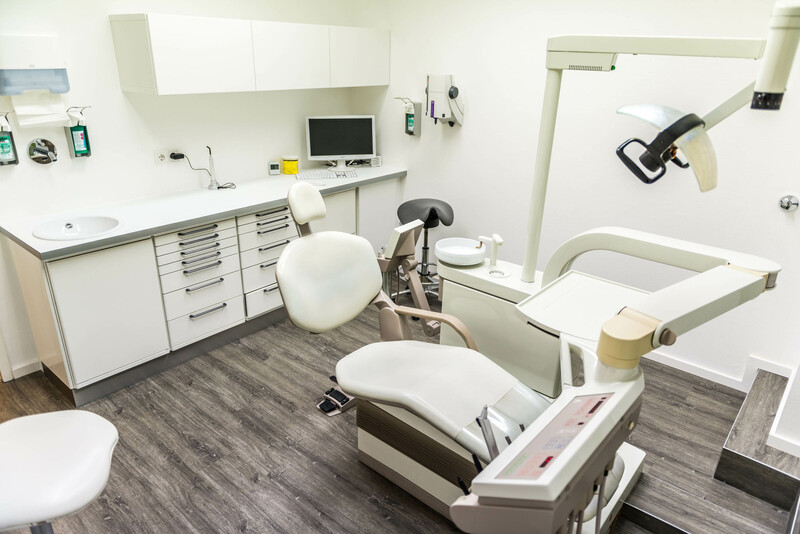 In our dental office in Frankfurt a. M., implantology belongs to our main tasks in the office. Detailed diagnostics that assesses and evaluates the current situation of the oral cavity, the gum, the teeth and the mandible bone matter. Extensive consultation regarding process and risks of the treatment, as well as alternative treatment methods. Provision of a cost estimate including all individual costs. Treatment of prior damage or infection such as cavities, periodontitis or a lacking mandible bone matter. The implantation itself is an oral surgical procedure, that will be pursued under local anaesthesia or if applicable under general anaesthesia. The inserted implants will be provided with provisional. During the healing period, the implant grows into the surrounding bone matter. Following the healing period, dental replacements will be provided onto the anchored implant. Under certain optimal conditions, direct implants can be provided that allow for direct pressure and a direct dental replacement. After a successful treatment we advise to be accompanied by a prophylactic program, to prevent post treatment infections such as periimplantitis.